Friendship knows no boundaries and surprisingly enough, this applies to animals as well. More than often you will be amazed to see how different species of animals form strong bonds between each other, even though nature would have them fight. While these unlikely friendships might seem weird, there is a solid theory behind it. 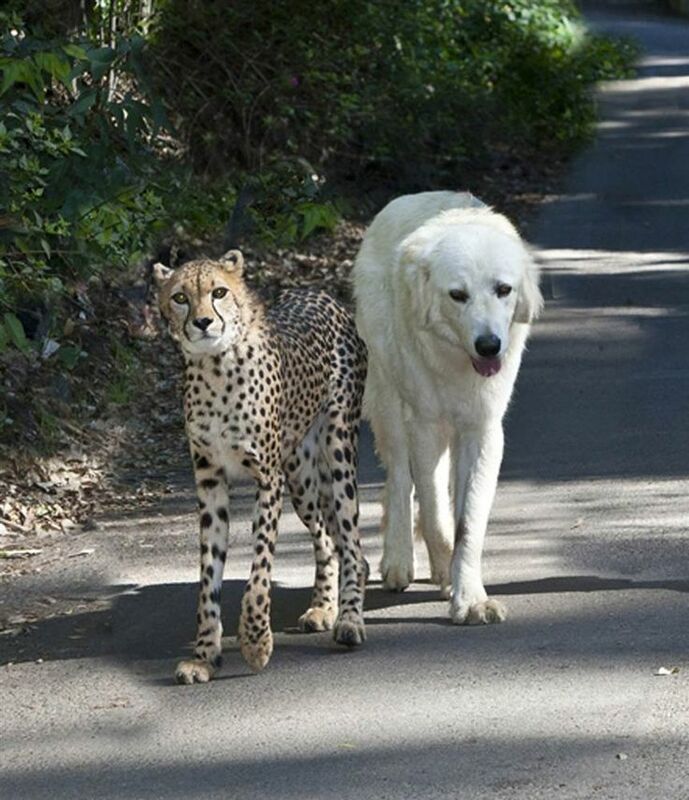 Wildlife scientists are saying that animals who are not in a pack are more likely to befriend other animals from different species which are in the same situation as them. 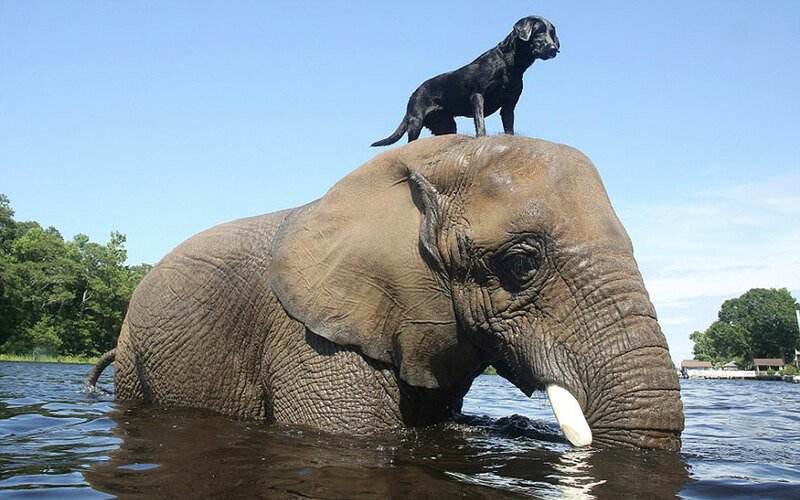 Seeing wildlife animals such as elephants befriending dogs seems to be something taken out of a Disney fairytale, but no matter how surreal this might be, it actually happens in real life. 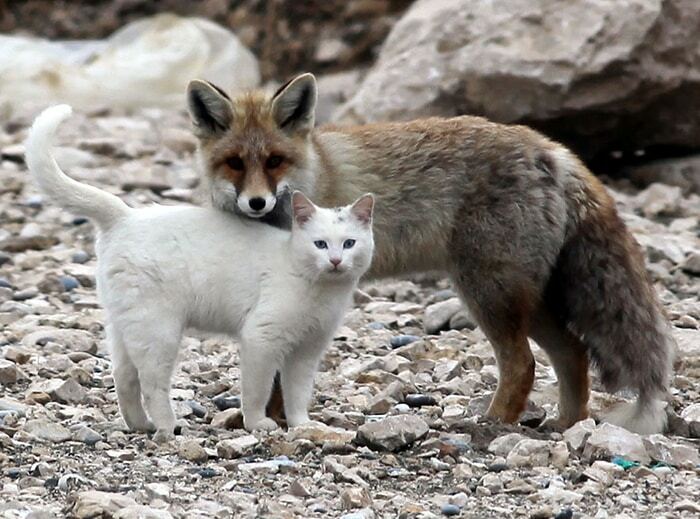 These following pictures will show you some unlikely but funny friendships between animals. 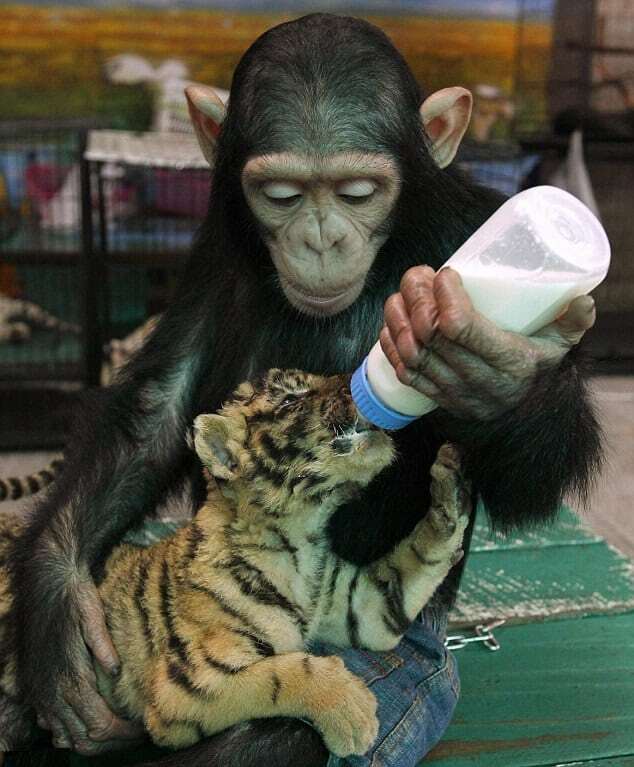 I bet you never knew that chimps have such a strong maternal spirit. One interesting thing about chimps is that there are different cases in which they act like surrogate mothers for other animals. It looks like these two know how to have a fun time together. The elephant needs to be careful not to step on the dog though. 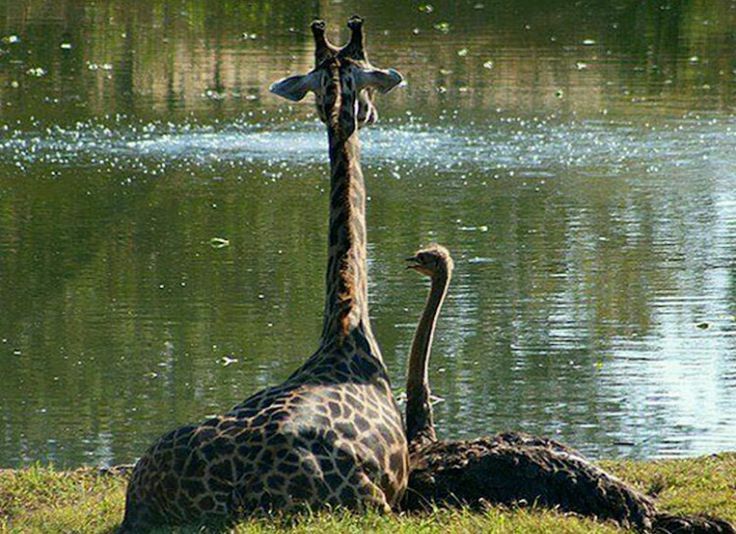 No wonder these two animals are such good friends when they have such an important thing in common, they both have long necks! 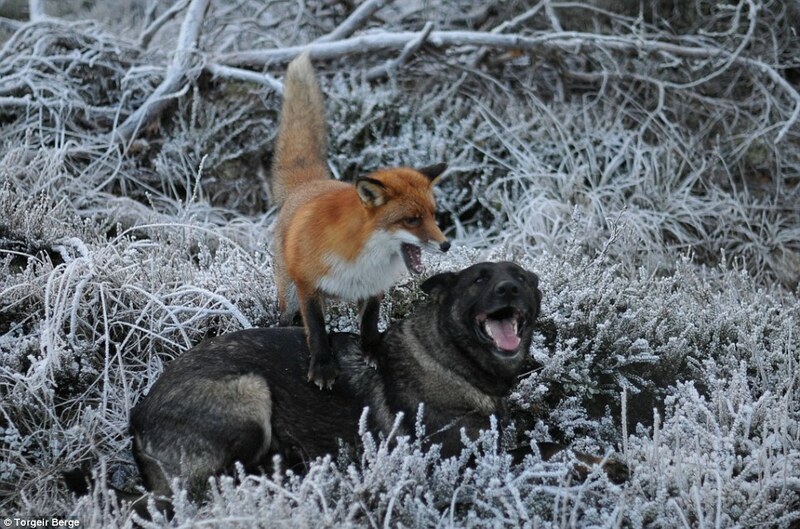 It seems like the reason why hounds are always sniffing for foxes is that they are looking for a friend, at least that’s what this picture tells me. 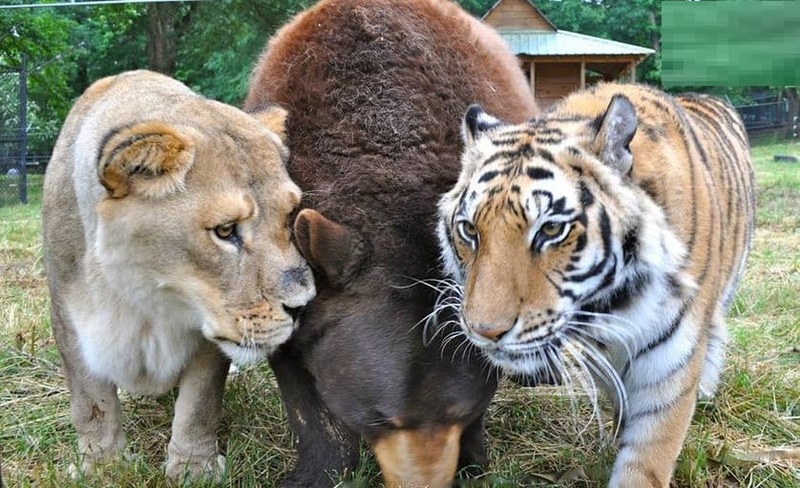 These three friends make it look like there’s a live adaptation of the Jungle Book. All that’s left now is for Mowgli to show up. Doesn’t this friendship look familiar? It reminds me of the classic Sylvester and Tweety cartoon, the only difference being that these two don’t hate each other. 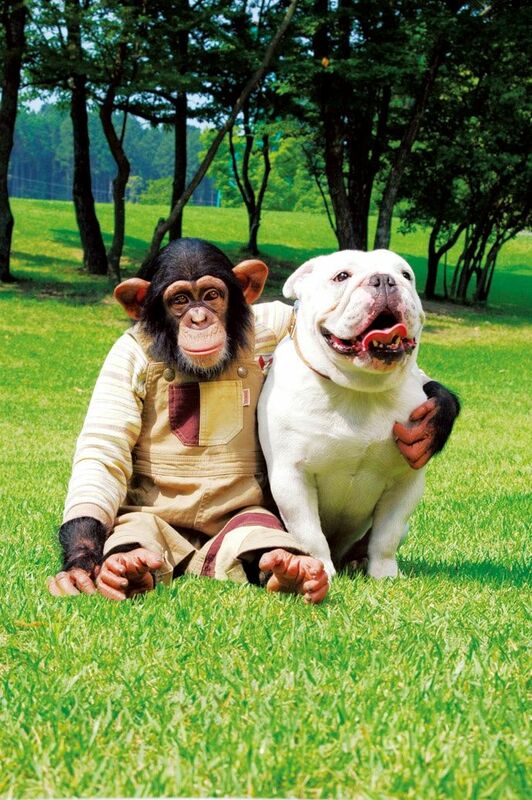 Nothing weird here, just two best friends hanging around the park and enjoying a bit of sunshine together. 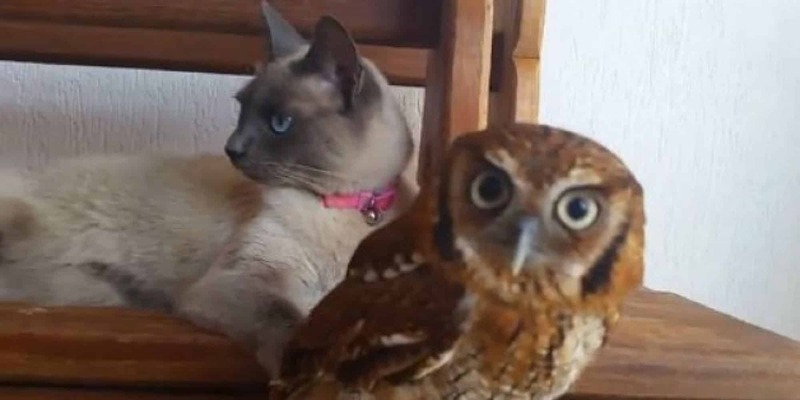 I can imagine how these two unusual friends plot on how to catch birds together. 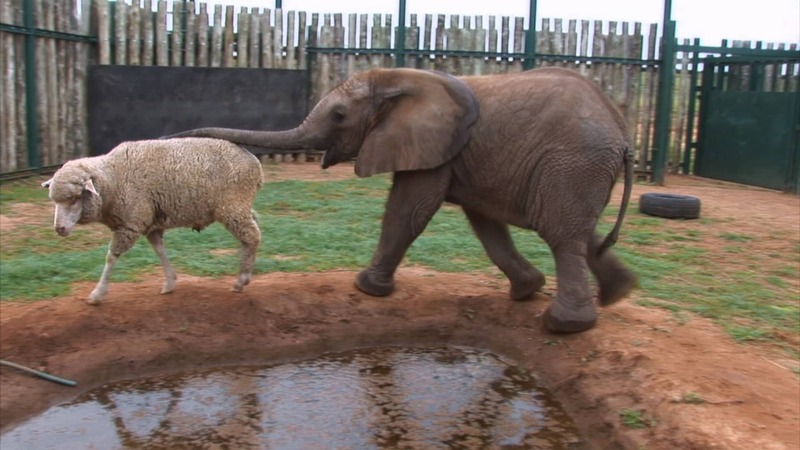 At first, it was an elephant and a dog, now an elephant with a lamb? I am starting to think that elephants have better social skills than me. 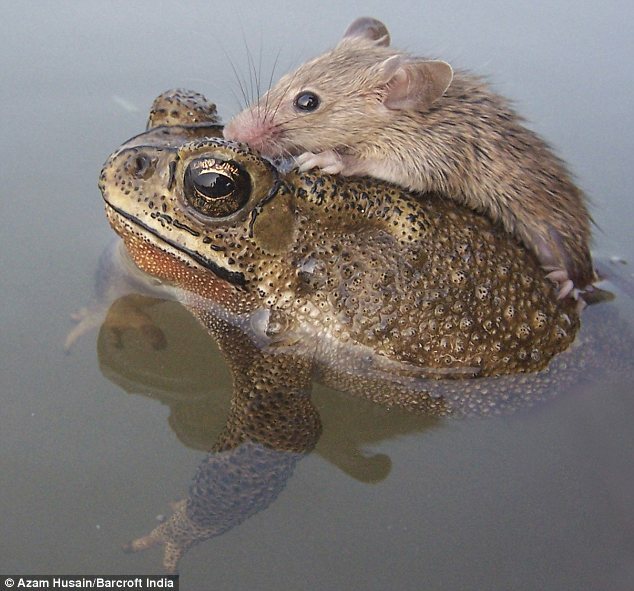 This mouse is just chilling and riding around the pond with his friend. These are the perks of having a friend that knows how to swim. Taking these two for a run in the park must be really tiring! Especially since the cheetah is known as being one of the fastest animals on Earth so you can imagine how hard it is to catch it. 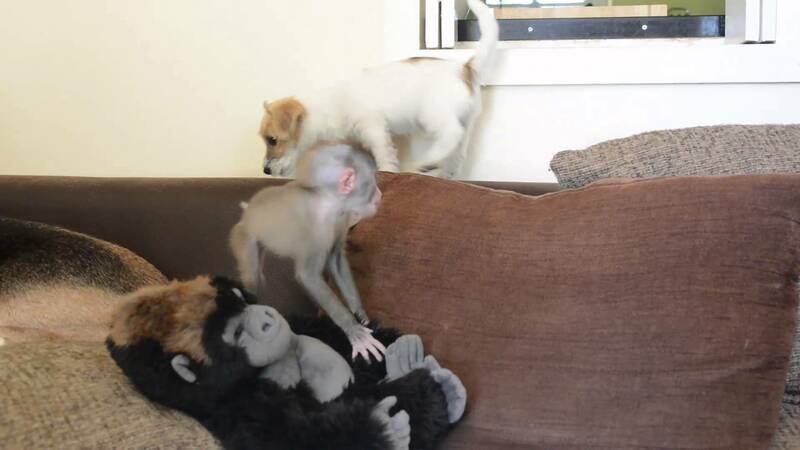 A monkey and a puppy messing around the sofa might be the cutest thing you saw all day. 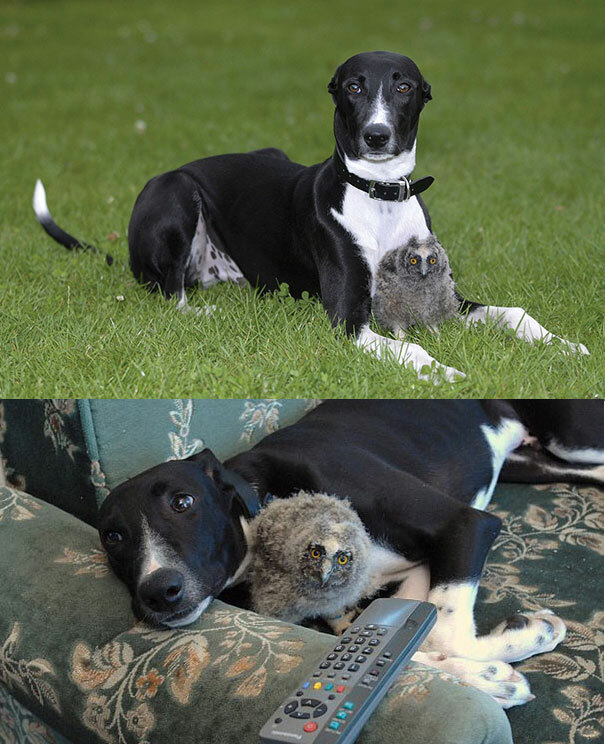 Even though the friendship between this dog and an owl is quite unexpected, you still can’t deny that they are really cute together. These best friends are called Milo the Dachshund and Bonedigger the Lion and it looks like they have a great time hanging out together. 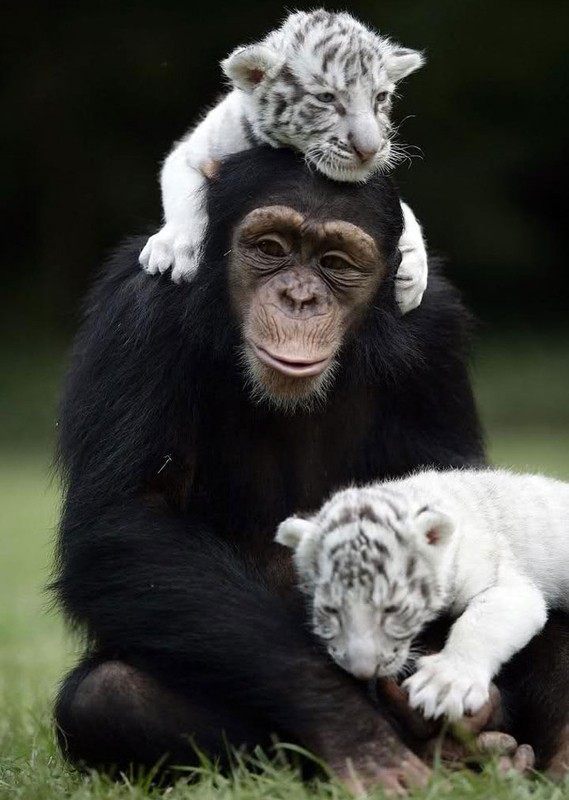 This is Anjana the chimpanzee and she is more than just a friend to these cubs, she is their surrogate mother. 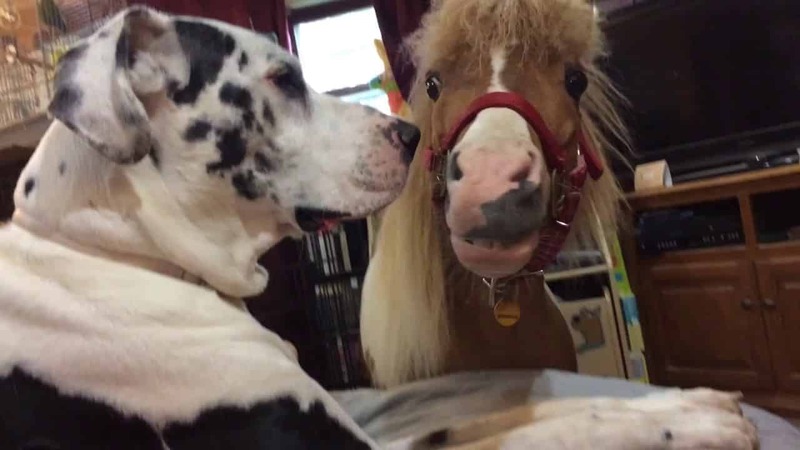 Sabre the Mini Horse and Arrow the Great Dane’s friendship is highly unusual and they look so goofy together. 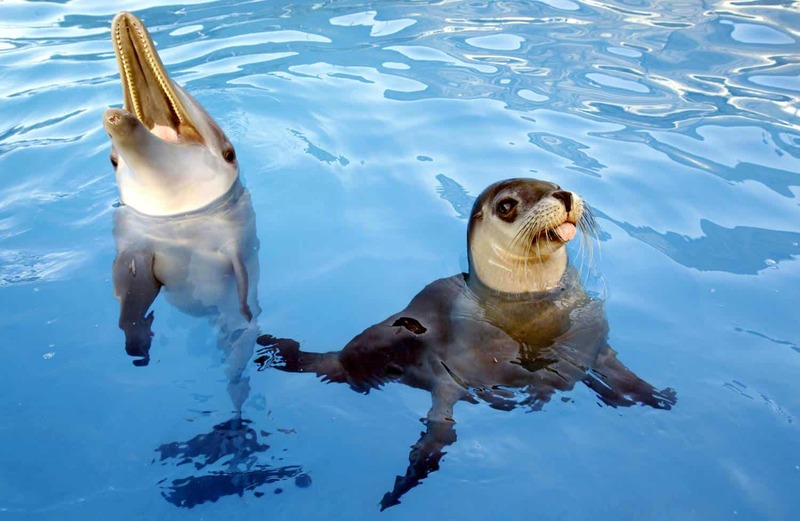 I bet that Jet the Dolphin and Miri the Seal know how to do some great tricks together. Seeing their show is definitely entertaining! 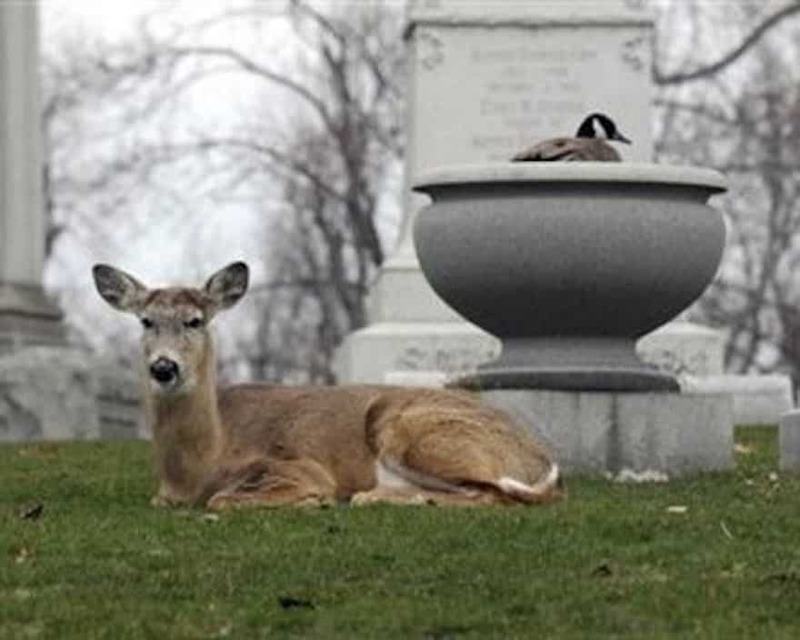 Isn’t it amazing how this buck keeps guard for the small duck? This picture clearly proves that friendship knows no boundaries. 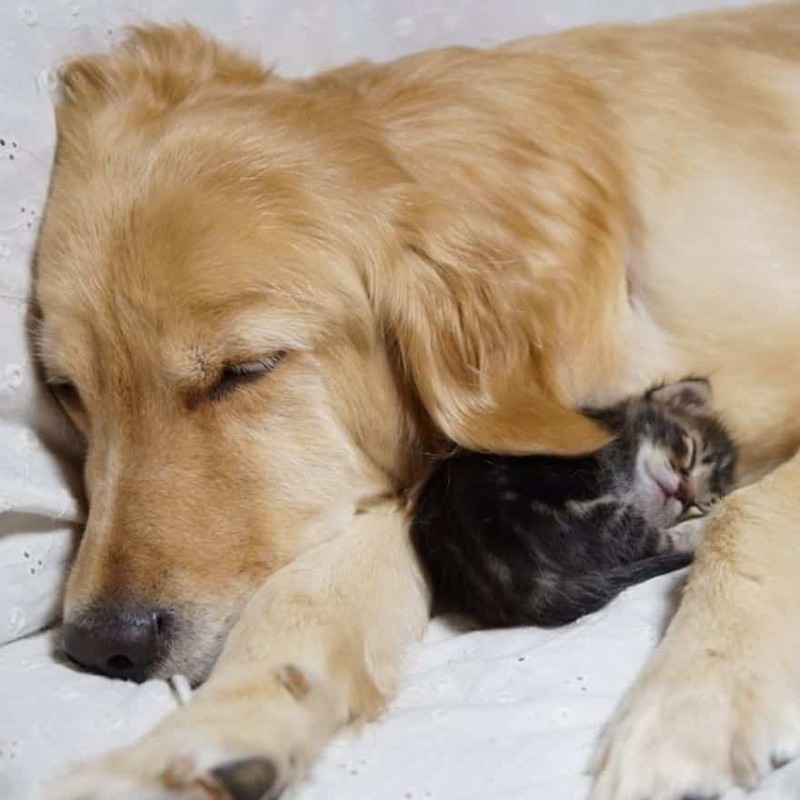 Why would cats and dogs hate each other when they can be friends instead instead? This Bengal tiger can be found in Sriracha Tiger Zoo in Thailand and the weird thing about it is that it’s raising six piglets. 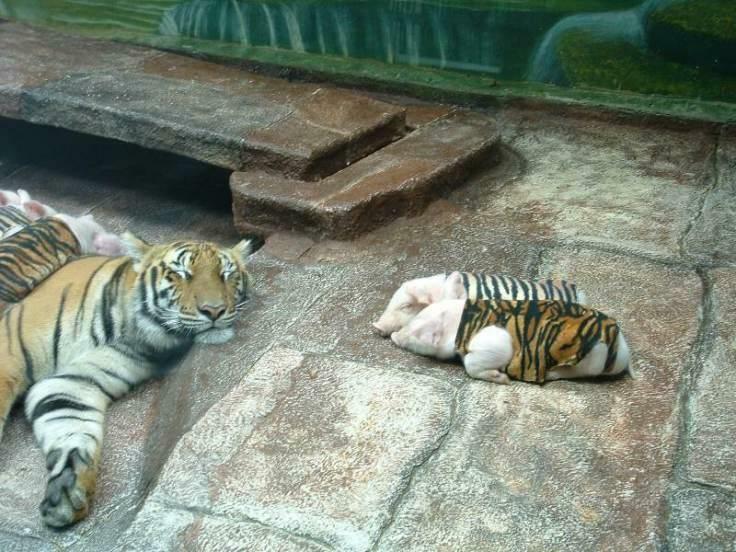 The tiger is not fooled by the piglets’ costumes and they are just for the show. 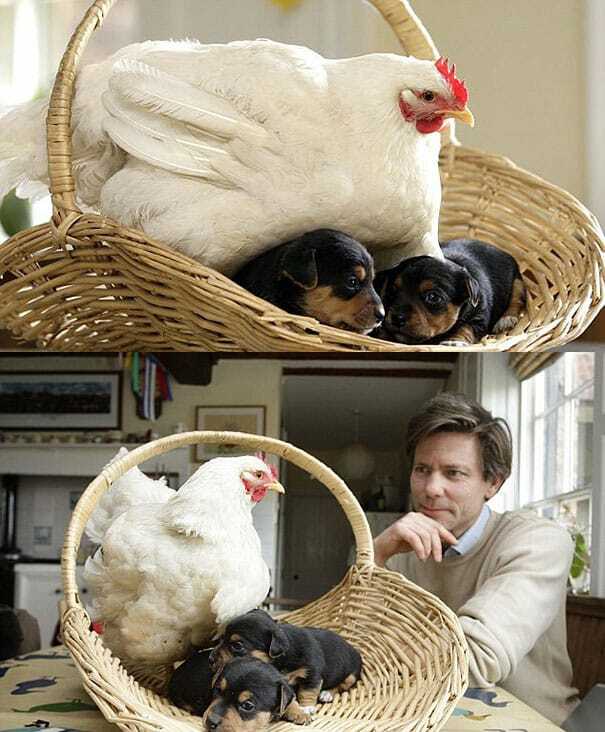 Mabel the chicken is keeping warm to some puppies, talk about weird friendships. 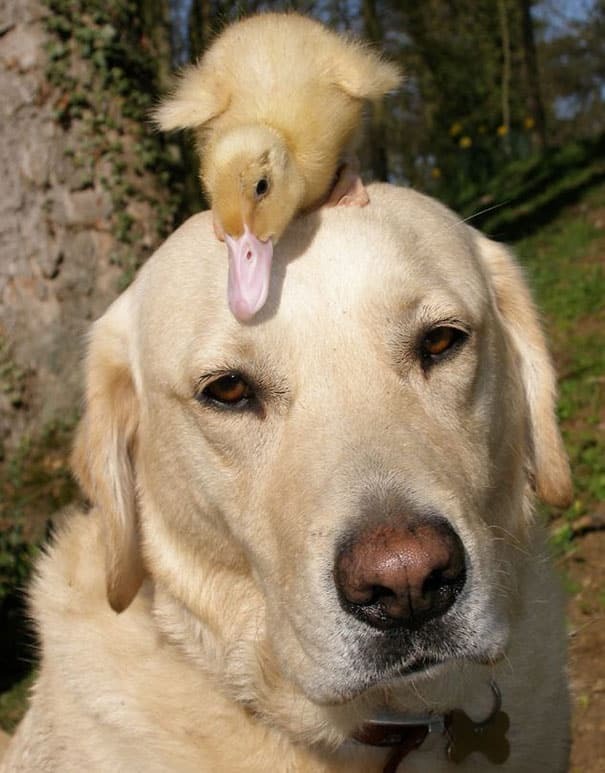 The Labrador’s name is Fred and his best friend is Dennis the duckling. 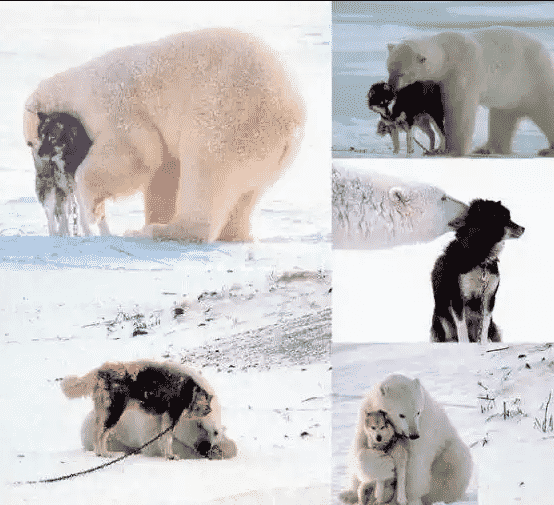 No one in Alaska is ever going to mess with that dog when his best friend is a giant polar bear. 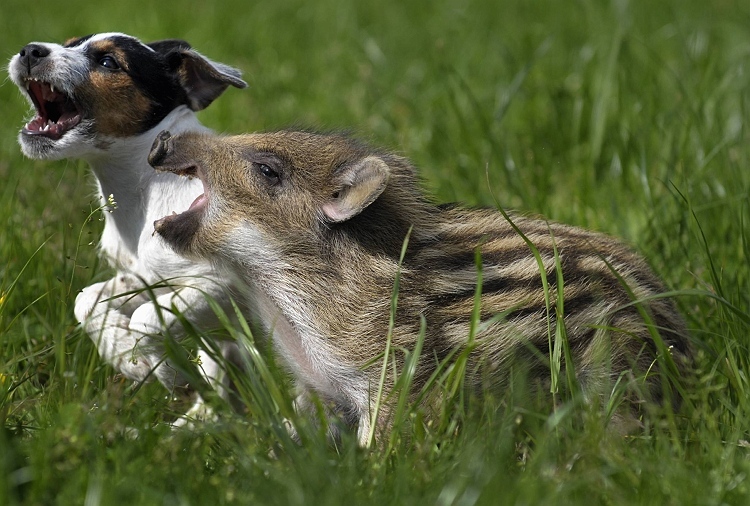 Manni the wild boar piglet and Candy the dog definitely look like they know how to have an awesome time together. I believe it’s safe to say that animal friendships don’t get weirder than this. 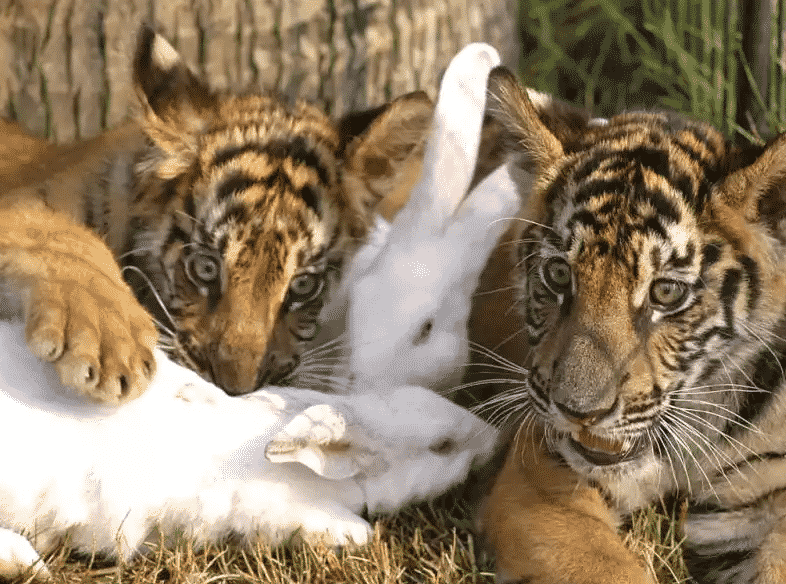 These tigers are born with the instinct to hunt small animals such as rabbits but somehow they decided to become friends instead. Nature can be really amazing sometimes.